The 2016 Global Youth Development Index compiled by Commonwealth Secretariat has been topped by Germany. India ranks 133rd out of 183 countries. Madhubabu Aain Sahayata Sibir Scheme has been launched by Odisha Government to provide legal aid to deprived sections. He is considered to be the first lawyer of the state. Andhra Pradesh and Telangana top the Ease of Doing Business Reforms Ranking 2015-16 compiled by the Department of Industrial Policy and Promotion and World Bank. Other States in Top-5 included Gujarat, Chattisgarh and Madhya Pradesh. India and Nepal’s joint military exercise Surya Kiran begins in Saljhandi, Nepal. It is the 10th edition of the exercise and will be conducted from 31 October to 13 November. Maharashtra has topped the 2016 Agricultural Marketing and Farmer Friendly Reforms Index compiled by the NITI Ayog. Other states in top5 are Gujarat, Rajasthan, Madhya Pradesh and Haryana. The lowest is the Union Territory of Puducherry. Sushil Chandra, an Indian Revenue Service officer has been appointed as the Chairman of Central Board of Direct taxes. 1st November is celebrated as Haryana Day. On this in 1966, the state of Haryana was carved out of Punjab. On 1st November, Karnataka’s 61st Rajaotsava was also celebrated as on this day in 1956, the state was officially formed. Prime Minister Narendra Modi launched Asia’s largest man-made jungle safari called the Nandanvan Zoo and Safari at Naya Raipur in Chattisgarh. India has the world’s 3rd largest start-up base following USA and UK according to NASSCOM. 1. Which country has the world’s largest start-up base according to NASSCOM? 2. Which states topped the Ease of Doing Business Reforms Ranking by World Bank and DIPP? 3. 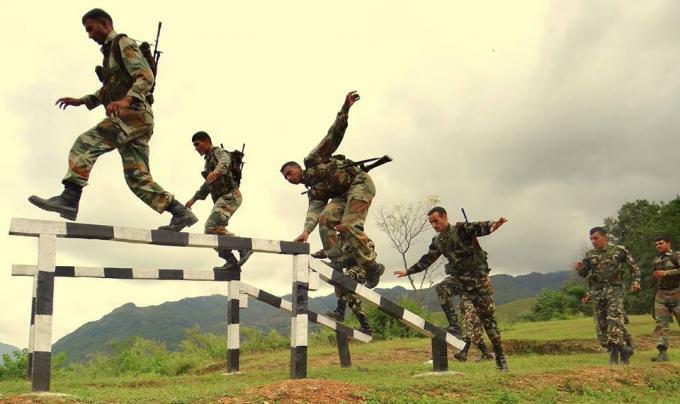 What is the name of India and Nepal’s joint military exercise being held in Saljhandi, Nepal? 4. What is India’s ranking in the 2016 Global youth Development Index compiled by the Commonwealth secretariat? 5. Which state launched the Madhubabu Aain Sahayata Sibir scheme? 6. Who has been appointed as the new Chairman of Central Board of Direct Taxes? 7. Which 2 states are celebrating their formation day today, 1st of November?